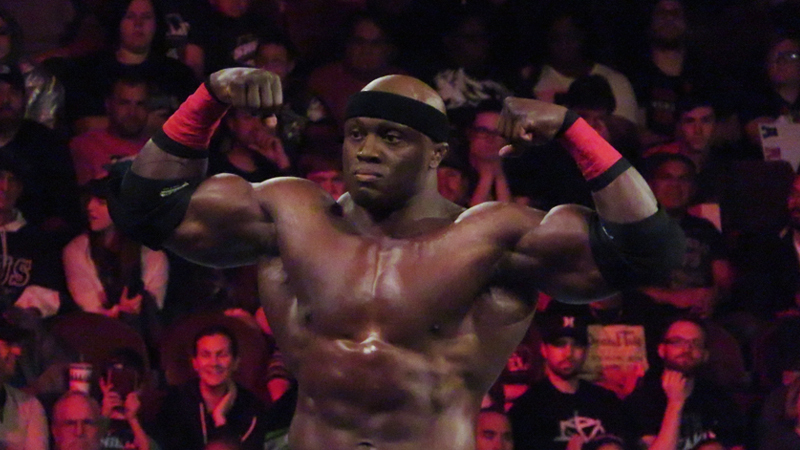 Bobby Lashley, who played a pivotal role alongside Baron Corbin and Drew McIntyre in shattering Braun Strowman’s elbow on RAW, reacted to the WWE announcement that the Monster Among Men would require surgery for his injuries. Lashley’s reference to the Mixed Match Challenge could point to the fact that Strowman’s injury has ruled him out of competing along side Ember Moon and potentially facing Lashley in the semi finals. Moon’s new partner going forward in the MMC hasn’t been announced yet. Speaking of which, here are the brackets for the remainder of the tournament. Ember Moon and her new partner will face Mahalicia after they beat Team Pawz. There is one more spot left in the SmackDown Live side of things. The overall winners of the tournament will both receive entry at number 30 in their respective Royal Rumble matches.